Glögg (pronounced Glug) is a traditional Scandinavian beverage served during the Christmas season. It will warm you on a cold winter night, and fill your home with wonderful scents! There are many variations of this beverage and mine comes from my cousin, Cindy. 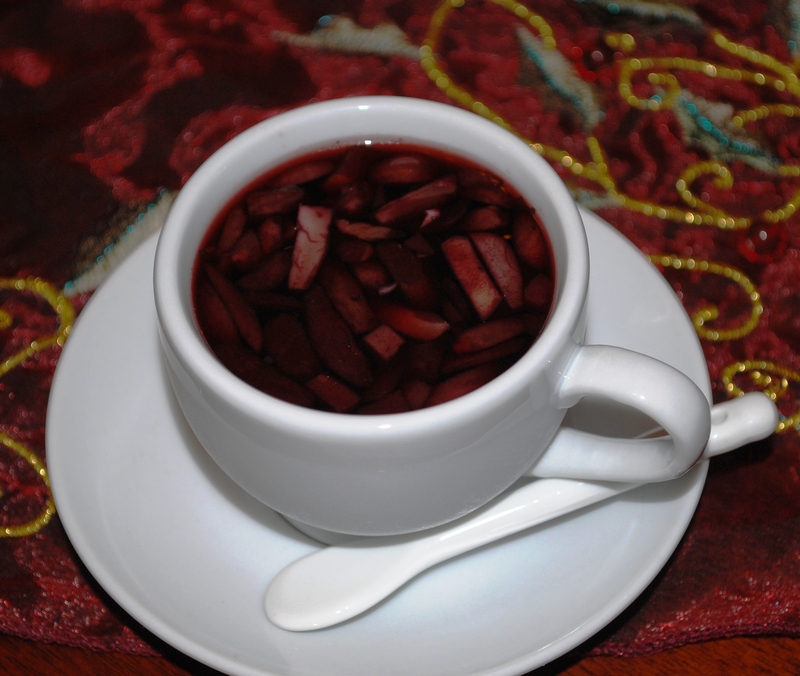 Glögg is like a mulled wine, but not as sweet and a little more potent with the addition of brandy. It is traditionally served in small cups with small spoons for scooping up the “goodies” at the bottom of the cup, slivered almonds and raisins. One cup should give you that warm, fuzzy, feeling perfect for Christmas or any cold winter evening. Skål!